This goes out to everyone that lost a friend or relative in this way. Contrary to the theme from MASH it is rarely painless. Definitely not for those that are left here to ponder what if, why, how could I have helped or just bewildered that a good friend could do such a thing and not tell anyone about it. I just found out someone I have known for nearly 35 years killed herself some time ago. Probably happenned during my sojourning in South America or Israel or EMEA, but I was pretty unacountable for about 6 years at a time when the consumer side of email was nascent and my time zones were all over the place and my friends had moved on from Florida, well most of them, post college circa 96-2001. My fault for not staying in touch better I guess. Just figured some day it would all work out. For my friend Kimberly Sue Hessen, it didn't. I don't know all the details, and at this point may never, but it just goes to show that no matter how low you may be, someone is really worse off somehow in some way. The void left by her affected her family, friends and colleagues. One day they're here, next day they're gone. How fleeting life is, and how sad, someone chose to forfeit the miracle of life granted to them. I can't touch base with everyone from the past, but I can do my part to remember my friend and keep her memory alive, even in a digital format. I'm sorry for your loss Keith. I feel for you and understand. A co-worker several years back took his life. It was scary, disturbing & confusing. I think about his wife and kids from tIme-to-time and wonder how they are doing. It's just so sad. Andy and Conxsys, Thanks for the thoughts. Didn't know what to say to my friend after they told me this, just shocked and bummed out I guess. My condolences. Having been through this myself a few years ago, I know that even when there are details that can be understood (severe bipolar disorder in the case of my former college roommate), there's still no sense that can be made of such things. Thanks Richard, and everyone else who reads this posting. I found Kim's mom, the wonders of the internet, and she was thankful for my thoughts. She told me Kim was 30, so it happenned about 10 years ago at the time I was out of the country. And some of my friends who I know were hurt by it and I only now am finding them again, Facebook has it's benefits I guess. Hi, I knew Kimberly dearly. She brought much beauty to my life. I also had lost contact due to the fact I left for chiropractic school in 1999. Her memory is in my heart forever and sometimes I wish she could contact us and tell us hi. Christine, Sorry to hear this. But glad you found my posting for her. I too wish I could talk to her one more time. I am saddened to come across this site. Kim was a childhood friend of mine from parochial school in South Florida. During the course of kindergarten through 8th grade, our class became like a family. After bar-/bat-mitzvah age, my family moved away and I lost touch with all my long-time school friends. That picture of her is the only Kim I ever knew; it is the laughing, gregarious Kim I will always remember from my youth. My friend, it has been a long time since we were at Beth Shalom. 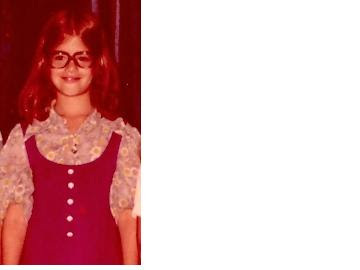 When I left for 4th grade I was in and out of touch as well. Dino, Dean and I still live in South Florida. We lost Dede about 3 years ago. I was crushed when I found out about Kim, I miss her laugh too. I am easy to find the others are on Facebook.